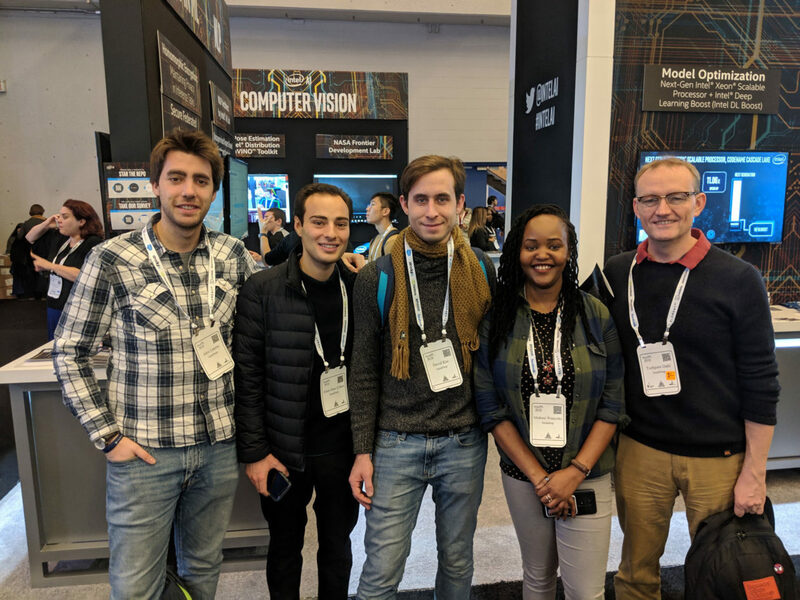 We have a strong team present at NeurIPS this week, with exciting things on the agenda. We are proud to announce that — for the first time — two of our research papers will be presented, a huge milestone for us. Additionally, three of our colleagues including our CEO, Karim, are presenting in the workshop Black in AI (BAI). The first of our research papers ‘Ranked Reward: Enabling Self-Play Reinforcement Learning for Combinatorial Optimization’, published in July, will be presented in the workshop ‘Deep Reinforcement Learning’ on Friday 7th December. Five of the authors, Alexandre Laterre, Alain-Sam Cohen, David Kas, Torbjorn S. Dahl and Karim Beguir, will be present at the workshop. Friday 7th December also sees the Black In AI workshop take place at NeurIPS, a workshop focusing on life on the inside of Pan-African AI Machine Learning start-ups. Karim is one of the specially invited keynote speakers at the workshop and will be talking about what it’s like working with AI and ML in Africa, and our initiatives at InstaDeep. Our colleagues Muthoni Wanyoike and Tejumade Afonja, will also present during the poster session of this workshop. Muthoni on how we are promoting diversity and inclusion in AI in Kenya, in her poster titled “Using Community Initiatives as a tool to promote diversity and inclusions in AI”, and Tejumade on the importance of collecting food image data and create relevant datasets for AI researchers use, in order to help preserve cultural values and identities through her research titled “An Image Dataset for Local African Food”. It’s a great honour to have colleagues on stage alongside other prominent researchers and AI practitioners in a workshop which truly aligns with our mission of helping democratise AI in Africa. Muthoni’s poster will also feature in the workshop Machine Learning for Development. It doesn’t stop there for our busy team! On Saturday 8th December, our AI and Robotics Research Lead, Torbjorn Dahl, is presenting his new research “Explicit Sequence Proximity Models for Hidden State Identification”, in the workshop ‘Reinforcement Learning under Partial Observability’. His research looks at situation similarity in reinforcement learning. In particular, how different models for comparing sequences of observations and actions to evaluate whether they have been produced by similar or different world states. Torbjorn’s findings show that in general, generous models are better than strict models, and especially for robots learning to navigate simple environments. The team is excited to meet fellow researchers from all over the world at this premier AI conference and spread the word about our business in these thrilling times of growth and innovation for InstaDeep.